Our back-end tests use NodeUnit and it isn’t serving our needs. We already use Mocha for our front-end tests, and it’s working well for us, so we’re going to switch our back-end code to Mocha as well. 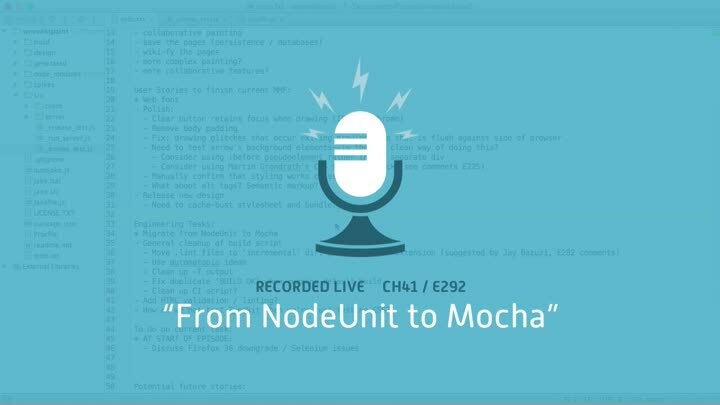 We start out by reviewing the two frameworks and our transition strategy, then get Mocha up and running.